Earlier this year, I waited to purchase the latest copy (2016 version) of Lonely Planet Hawaii by Sara Benson and Amy Balfour in preparation for my holiday and first-time visit to the country. Reading zealously with sticky notes and flags over the course of a few months, it took me a while to understand the layout and approach to this travel guide. My first impressions were that the layout was a little haphazard, until coming to the realisation that the book was organised by island, not by activity. This means if you're interested in sea turtles, you have to look at references for sea turtles on every island. Finally, the free map at the end of the book was a complete waste of paper. The free maps in the Waikiki Trolley brochure were a much better resource when out and about in Honolulu and Waikiki. 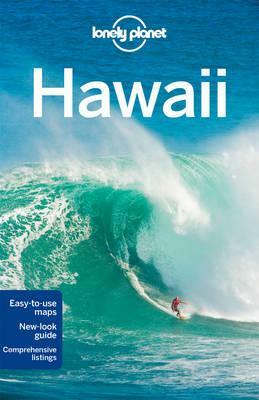 Lonely Planet Hawaii was a logical place to begin my research, but in the end, I found my online research to be more useful this time around.